Abdominoplasty (tummy tuck) is a surgical procedure used to remove excess, unneeded or unwanted skin and fat from the abdomen. Most patients who undergo a tummy tuck achieve smoother, flatter and well-toned abdomens that are unachievable with diet and exercise alone. 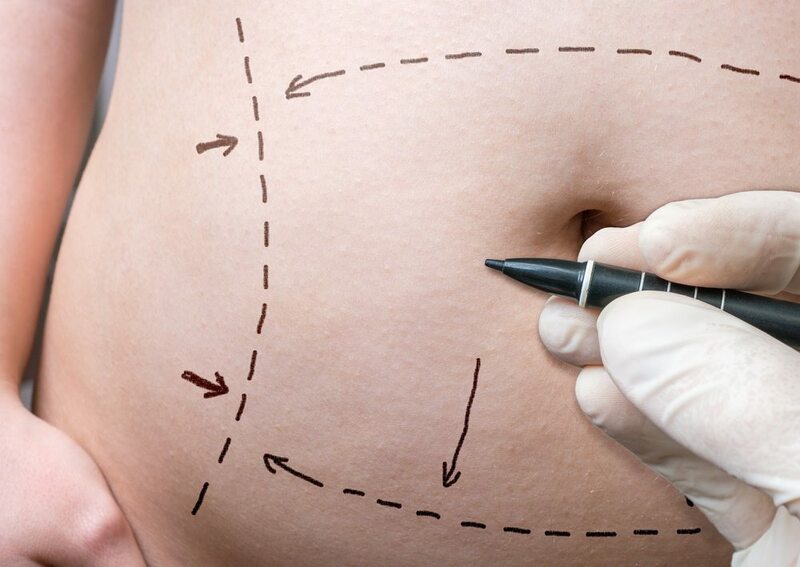 Many of the patients who select abdominoplasty are of a normal body weight, but have loose or sagging skin caused by genetics, aging, or certain life events like pregnancy or weight fluctuations. Although a tummy tuck is an excellent solution for excising excess skin, it is no substitute for a nutritious diet and regular exercise. It is also not a solution for stretch-marks located above the belly button. Keep in mind that abdominoplasty results are long-lasting, but may be negated with future pregnancies. If you plan to have one or more children in the future, speak with your doctor about delaying your procedure. Am I a candidate for a tummy tuck procedure? You may be a candidate for a tummy tuck if you are a non-smoker with excess abdominal skin – perhaps due to significant weight loss or pregnancy – and you are currently at a stable weight. You’ll also need a pre-surgical consultation to ensure that you have realistic expectations of your outcome. What should I expect during my abdominoplasty? You’ll prepare for your abdominoplasty with lab work and pre-operative instructions that may prevent you from taking certain medications leading up to your surgery or eating and drinking on the day of the procedure. Your doctor will administer IV sedation or general anesthesia at the start of the procedure for your comfort. A horizontal incision will be made along your pubic hairline, where the excess fat, skin and tissues are removed. The abdominal muscles are sutured and repaired before the incision is finally closed and sutured shut. Will I need to follow any post-procedural instructions? Swelling is normal following a tummy tuck, so your final results will not be visible until several weeks after the procedure. When you awake, you’ll be wearing compression garments to support healing and reduce swelling. You’ll be instructed to avoid certain physical activity in the weeks following your procedure. Your doctor will give you personalized instructions for at-home care and schedule return visits to your surgeon’s office to monitor your progress and remove bandages and stitches.